The light, refreshing character of this award-winning golden ale is distinguished by its subtle elderflower aroma, reminiscent of a summer evening's stroll in the countryside. 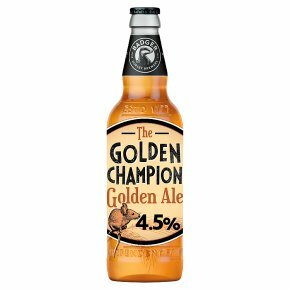 Brewed by an independent, family-run brewery in Dorset, it goes down a treat with roasted chops or chargrilled vegetables. A bright golden ale with floral hints of elderflower. Light and refreshing, a crisp taste of summer.